One of the North’s fastest growing small tech firms has received £2 million funding from NPIF – Mercia Equity Finance, part of the Northern Powerhouse Investment Fund, to allow it to continue its rapid growth. This significant investment marks the single largest investment to date since the Northern Powerhouse Investment Fund was launched in February last year. Sheffield based Azzure IT helps organisations throughout the UK, ranging from SME’s to larger not for profit enterprises, to transform productivity and enhance growth by implementing the next generation of smart business applications in the form of Microsoft Dynamics solutions. The funding will enable Azzure to strengthen its management team, recruit additional implementation consultants and expand sales and marketing operations. Overall this will create around 12 new jobs over the year ahead. Founded in 2011, by Craig and Sharon Such, Azzure IT has achieved significant growth over the years and now employs 57 people. The company’s growth and commitment to excellence has resulted in multiple industry awards and accreditations. Azzure IT was one of the first UK software vendors to achieve the ISO 9001:2015 quality accreditation and is ranked 29th in the Northern Tech 100 league. The company has also been listed in the Deloitte Tech Fast500 EMEA over the past three years and was recently recognised in the Financial Times 1000 list of the fastest growing companies in Europe, coming in at 200th place. 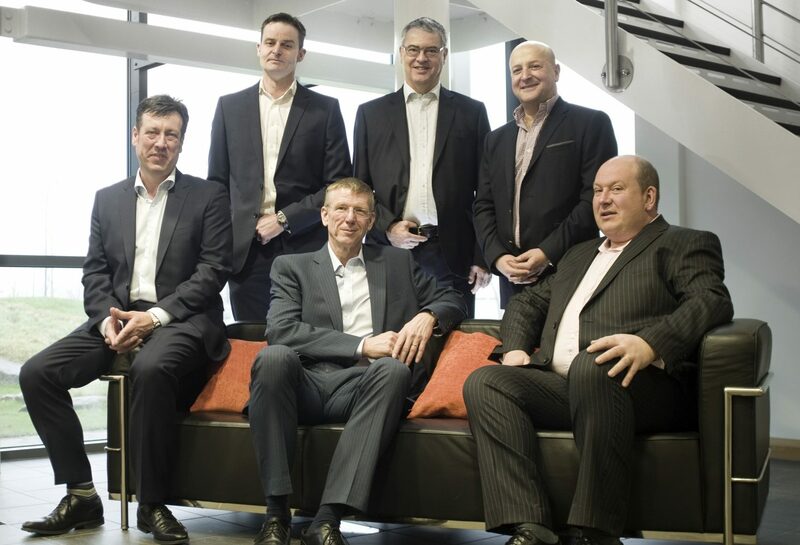 Photo Caption – Left to Right Will Clark, Mercia, Julian Viggars, Mercia, Ken Cooper, British Business Bank, Neil MacDonald, Sheffield City Region Local Enterprise Partnership, Howard Joseph, Azzure and Craig Such, Azzure.